You can come with you own tent (5 EUR per person on Sat/Sun night) or you can stay on your own mat and sleeping bag in a local school (7 EUR per person on Fri/Sat or Sat/Sun). Register ireen@joogafestival.ee till 25. July or on the spot if there is still space. 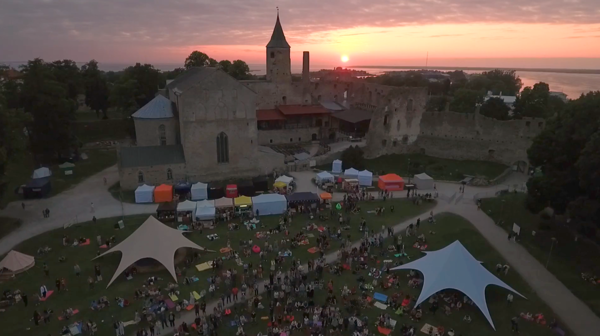 In Haapsalu, the hotels are booked well in advance (3-6 months), but you may have luck!